Cody knew exactly what he was doing and had the ice cuber maker repaired very quickly. Cody (very personable) is quite knowledgeable regarding appliance repairs. This was the best service I have received from any on site repair company. The appointment booking was fast, there was very little wait time between scheduling and the appointment. The half-hour call ahead of his arrival made it easy for me to just leave work and we arrived at the same time. Very convenient. Although the repair is likely more than what I can get a new machine for, every question I asked was answered quickly and honestly as well as accurately. The problem was explained, the solution explained and a quote, with estimated time to completion, was provided. Will definitely be using this service in the future and would recommend it to anyone. Was able to get service two days from the day I called which worked fine for us. We have a microwave/oven combined unit. The push button to open the microwave had broke (door could not be opened). Cody arrived timely within the 2 hour window stated. For a fairly simple repair, Cody worked quite hard having to remove both the oven and microwave from a tight-fitting wall space. Once removed, he could get inside the microwave, find the model number and call for the part. He left, and was gone about 30 minutes, repaired the door, and put back the combo. Prior to getting the part, he shared the cost of the repair (part, labor) and we felt reasonable. Not only was Cody knowledgable with all aspects of the repair, he was courteous and friendly. We will certainly use their services again as needed. The servicemen were knowledgeable, personable and honest. Will make this my go-to appliance repair company in the future. Jeff at Appliance Works was polite, knowledgeable, and fast. While he did not have the part with him, he went to the parts store, picked it up, and replaced the broken part in a manner of minutes. 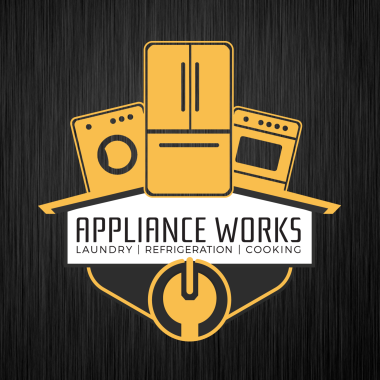 I would recommend Appliance Works to anyone. Kitchen aid fridge, fresh food section not cooling and ice maker issues.